Set includes 2 x downtube (277 x 38 mm), 2 x seat tube (211 x 31 mm), 1 x headbadge (32 x 56 mm). Set includes 2 x downtube (299 x 28 mm), 2 x seat tube (162 x 15 mm), 2 x Guido (90 x 17 mm), 2 x Guido (54 x 10 mm). Set includes 2 x downtube (251 x 26 mm), 2 x seat tube (202 x 21 mm), 1 x headbadge (48 x 45 mm). Set includes 2 x downtube (265 x 31 mm), 2 x seat tube (180x 32 mm), 2 x top tube (132 x 15 mm), 2 x forks/seat stays (120 x 24mm), 1 x headbadge (36 x 36mm). Digitally re-mastered and printed onto quality 70 micron vinyl. Set includes 2 x large Dlakiia @ 299 x 57 mm, 4 x small Dalkiia @ 100 x 19 mm, 2 x head/seat decals @ 45 x 38 mm. Digitally re-mastered and now available printed onto quality 70 micron vinyl. Set includes 2 x down tube (261 x 32 mm), 2 x seat tube (223 x 28 mm), 1 x head badge (45 x 74 mm). Various colours available, I have listed just a few. Digitally re-mastered and printed onto quality 70 micron vinyl. Set includes 2 x down tube (275 x 20 mm), 2 x smaller version (190 x 15 mm), 2 x Galaxy Twin (115 x 7 mm), 2 x handbuilt in England. Seen here in purple/blue with white outline, other colours may be possible subject to availability info@wanit.co.uk Shown on a red background (not included) These decals are intended for a tandem. Digitally re-mastered and now available printed onto quality 70 micron vinyl. Set includes 2 x down tube (285 x 27 mm), 2 x top tube (140 x 12 mm), 1 x head badge (45 x 25 mm). Seen here in black with white edges, other colours may be possible info@wanit.co.uk . Set includes 2 x downtube (230 x 32 mm), 2 x seat tube (212 x 30 mm), 1 x headbadge (48 x 39mm). Set includes 2 x downtube (210 x 38 mm), 2 x seat tube (189 x 34 mm), 2 x headbadge (102x 18mm each). Set includes 2 x downtube (148 x 30 mm), 2 x seat tube (110 x 22 mm), 1 x headbadge (58x 33mm). Set includes 2 x downtube (130 x 25 mm), 2 x top tube (125 x 17 mm), 1 x headbadge (58x 33mm). Set includes 2 x downtube (210 x 40 mm), 4x Volare 853 (118 x 12 mm), 1 x G (62 x 35mm), 1 X G (50 x 28 mm), 1 x G (30 x 17 mm), 1 x Volare (50 x 8 mm). Choice of tubing decal if desired. Set includes 2 x downtube (300 x 25 mm), 2 x seat tube (197 x 16 mm), 1 x headbadge (49 x 49 mm), 1 x rear seat tube as head (40 x 40 mm). Digitally re-created. Set includes 2 x down tube, 2 x seat tube, 1 x headbadge, 2 x top tube, 2 x forks. Not to be confused with the other USA version, this one hails from Lancashire UK. 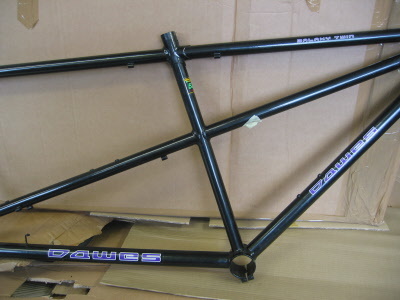 Set includes 2 x downtube (300x 27 mm), 2 x seat tube (255 x 23 mm). Set includes 2 x downtube (250 x 34 mm), 2 x seat tube (184 x 25 mm), 2 x top tube (147 x 20), 1 x headbadge (40 x 45mm). Set includes 2 x downtube (282 x 30 mm), 2 x seat tube (198 x 21 mm), 1 x headbadge (40 x 45mm). Set includes 2 x downtube (135 x 32 mm), 1 x seat tube (145 x 33 mm), 2 x top tube (65 x 16 mm), 1 x head (16 x 70 mm).